Tomei Camshafts - Pann Auto Performance - San Diego largest aftermarket automotive performance parts - What do you drive? Countless hours of research and development is performed in order to complete a set of cams that meets the Tomei standard. The end result is a high quality product that produces effective and reliable results. Every cam is engineered on super precise CNC machines and incorporate magnesium phosphate coating to prevent direct contact with other valvetrain components. Additionally, every cam lobe is treated with a ‘wavy groove’ to promote oil lubrication and prevent cam locking. Tomei PONCAM Camshafts provide the smoothest idle, acceleration and installation. No modifications are needed to the valvetrain when installing a set of Tomei PONCAM Camshafts and the performance is smooth from zero to top end. The Tomei PONCAM Camshafts are perfect for the tuner looking for no-nonsense, reliable street performance. 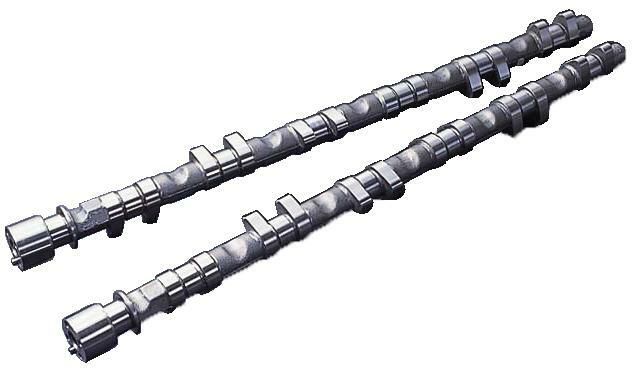 Tomei PROCAM Camshafts are the highest performing camshafts offered. Aggressive grinds and massive power are the result of testing and super high precision grinding. Tomei PROCAM Camshafts may require additional valvetrain modifications, but the results are well worth it. The Tomei PROCAM Camshaft is the best of the best from Tomei.